Thinking of going on an adventure? Or maybe you just need fun family time? The RV is a perfect home away from home. Whether it be summer or winter, RVs provide adequate shelter and facilities that you may need. Speaking of the seasons, your RV needs to be comfortable scorching hot outside or extra humid. That is why you will find that most RVs depend on an air conditioner to regulate the temperatures inside. 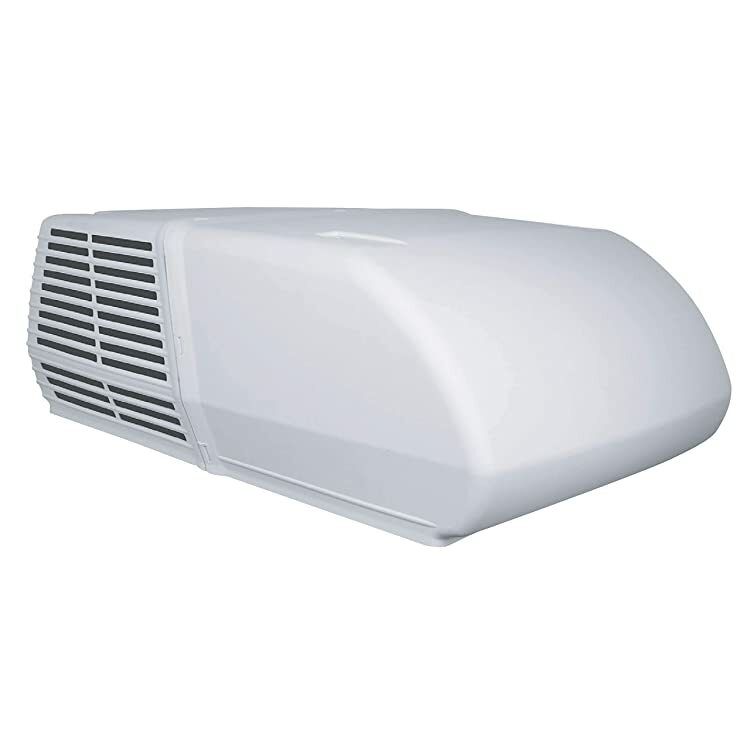 To select the best RV air conditioner, you need to understand the features that come with it. 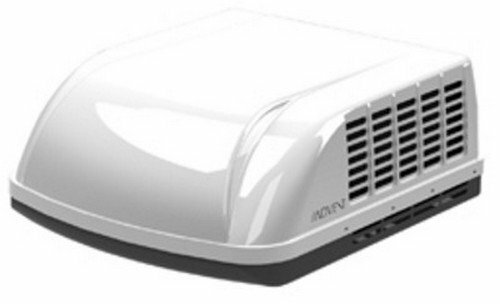 How to Choose the Best RV Air Conditioner? Weight: The unit is not necessarily as light as a feather. It weighs 94 pounds which is equivalent to around 41kgs. Usually its places on top of the RV with fixtures with needed. Type: The unit is compatible with both duct and non-duct circulation. Independent attachments have to be purchased so include this in your budget. 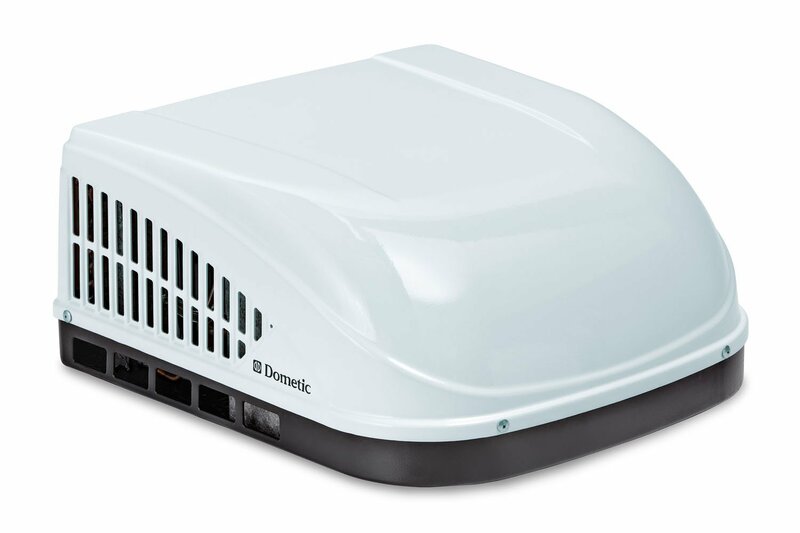 Power: Power determines the efficiency of the unit to cool the air in your RV. This unit offers 13500BTU. This is normal for a standard unit. Other specifications regarding power are that it is a 120V/3000watt unit. Safety: when units ran for a long period of time, they tend to overheat or overload. To prevent this, overload mechanisms have been installed in this air conditioner. You won’t blow a fuse or something. Fan: A High-quality fan with adjustable features makes air circulation an easy process. Depending on your preference you can select between the 3 settings provided. Refrigerant: The type of refrigerant used affects our environment in the long run. This unit uses the R-410A refrigerant. The refrigerant is a hydrocarbon-based composition and is friendlier to the environment as it does not contribute to ozone layer depletion. Size: Fitted to contain aerodynamic shrouds. The unit measures 34 x 24 x 12 inches which are not entirely a tiny unit. Be careful during installation. Warranty: A 2-year warranty is provided with this air conditioner. Be sure to follow the terms and conditions so as to be sure what the manufacturer can cover. Type: it’s a versatile unit and therefore can support both ducted and non-ducted applications. Perfect for your RV or moving office. Weight: Weighing in at 74 pounds makes it lighter compared to some models in the same product range. Not entirely light either therefore take care when installing so as not to drop it and cause damage. Power: This air conditioner is designed to operate at 15000btu per hour. This is high enough to power through a medium sized RV. At 115V it won’t pile up your electricity bill much. Fan: The fan affects how fast the cold air can be pushed through the estimated area. A good fan is advantageous to any air conditioner. The fan speed can be adjusted from high to low depending on your preference. Installation. To help set the unit in the right position a gasket is provided. 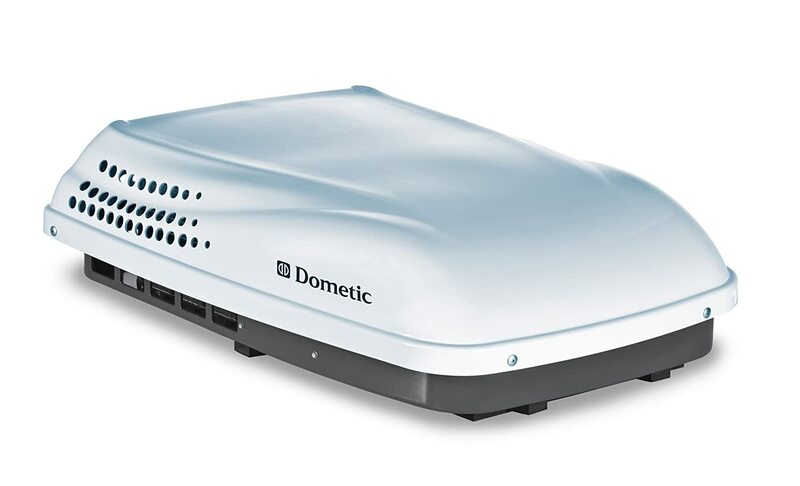 It can sit on top of your RV without disrupting the air circulation. Make it easy for those whose RVs are missing this feature. This unit is easy to install and use therefore making it convenient. Size: it is not the largest unit in the market but it is definitely lighter than most. For a unit that has 15000btu, it is not that big. It measures 29.2 x 27.2 x 12.7 inches. You can check to see if it will have enough space in your RV. Refrigerant: The refrigerant used in this model is environmentally friendly and durable. It uses the R-410A refrigerant which is known to be ozone layer friendly. ​Warranty: not all models come with warranties and therefore you have to check. This unit comes with a 2-year warranty that you can use in the case of any production flaws in the unit. Terms and conditions apply therefore get informed on what they are. Type: Compatible with both duct and non- duct applications. Has a bit more BTUs, therefore, will cover a larger area than the standard size. Weight: The unit weighs a whopping 100 pounds so be careful not to drop it during installation. Installation fixtures are provided to make the mounting easier and secure. 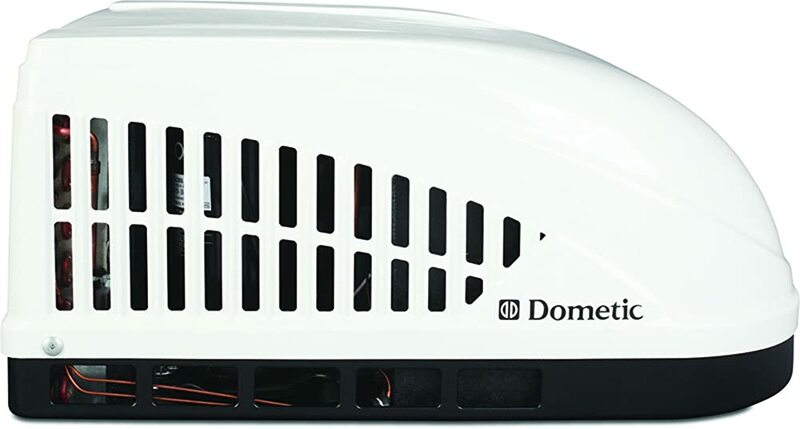 Fit: Those who have 14" X 14" rooftop opening should find this air conditioner effective for their Rv. Heating options: The unit comes with an internal heater that enables the space to be warmed. A control unit will have to be bought in order to effect these settings. This beats having to but a space heater every time you need some warmth. Power: As stated before the higher the BTUs the faster it can cool a large area. Since this unit is bigger than a standard model offering 15000btu. For people who have a slightly larger RV, you may consider this option. Fan: An adjustable fan has been fitted on this unit to aid in air circulation be it hot or cold. The fan is of quality, therefore, is expected to run as long as the unit is on. Design: For less wind resistance, this air conditioner is fitted with an aerodynamic shroud. Those living in windy areas might appreciate this feature than those in moderately calmer areas. Power: Power helps us gauge the performance of the unit. Being a standard unit it is designed to produce 13500btu. This Is sufficient for small and medium RVs. Anything larger would use a unit that can provide higher BTUs. It has an electrical rating of 120V AC. Heating options: This function becomes convenient when the temperatures outside drop and you need to be warm. The heating strip is purchased independently together with the control. A thermostat is needed and it is also purchased separately. Weight: Weighing in at 99 pounds it is not a unit that can be termed as lightweight. Compared to heavy weight units it is somewhat light. Installation is not in any way hampered. Refrigerant: it is better to avoid ozone-depleting chemicals since we need the ozone to protect us. This unit uses the ozone-friendly option, it being the R410A. It is also excellent for dispensing heat making it durable. Fit standard: for those wondering the roof requirements to fit this air conditioner, it is as specified: 14" X 14" openings. Smaller openings may be a problem if right fixtures are not implemented. Warranty: For 2 years when you buy this product, you get to hold the manufacturer liable if the unit falls short. Depending on what mishap you ran into, it can be solved by the manufacturer. Fan: Good quality fan is essential in any air conditioner. This one runs with a high-performance fan that can be adjusted according to the user’s needs. Size: The dimensions of this product in order to fit onto your roof is 29 x 40 x 9.5 inches. Design: This air conditioner has adapted to a sleek design that is intended to reduce the drag of heavy units. Weight: This high-performance air conditioner weighs 90 pounds. A gasket has been provided to help fit the unit on top of your RV. Type: It is compatible with both duct and non-duct situations. The only requirement is that all the subsequent products needed are purchased. Aim for well measured and well fitted. Fit: Seems to be a standard for air conditioners in this range. The Recommended fit is rooftops that have 14" X 14" openings. 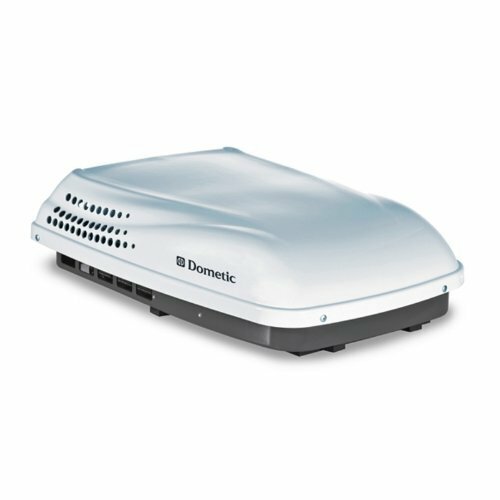 Power: The 13500btu unit powers through small to medium RVs with ease. It is also designed with a 1/3 HP fan motor that works ruthlessly. Heating options: for those days that you want a bit of warmth in your RV, a heating feature can be obtained and so can a thermostat. These, of course, have to be paid for separately. Size: since it is a standard air conditioning unit it cannot be larger than your RV. It has the following dimensions:41 x 28 x 16 inches. Fan: Like all quality units, a fan never misses in the features. It is essential for cool air circulation. This unit has an adjustable fan that can help you attain the right temperatures that you are looking for. Air conditioning designs vary according to make and installation location. We basically have two kinds of air conditioners: The ducted and non-ducted models. The ducted models are less bulky due to the fact that they lack a control unit. The air conditioner can be fitted on the rooftop and still work effectively. The cooled air is then transported using ducts to supply the whole space with conditioned air. It is convenient for those hot summer days where you need every location in the RV cool. This is more suited to RVs that already have ducts. Non-ducted models work a tad bit different from the ducted. They are commonly placed on top of the RV and include a compressor, blower, and a condenser. They work by sending individual refrigerant to the blowers that may be located elsewhere in the RV. It is less dusty and covers different locations in the RV. If you do not have ducts in your RV this might be a better option. When it comes to air conditioners powers we measure power using BTUs. The BTUs stands for British Thermal unit. Depending on the size of your unit you can choose to use the standard unit or a unit with higher BTUs. A standard size unit will have around 13000BTUs which is adequate to keep your atmosphere comfortable. A large RV will definitely need a unit that offers a higher BTUs. When the weather changes and the temperatures drop, your RV cannot survive on just cool air. You need heat to survive and be comfortable. There are machines that can reverse and give out warm air. Heat pumps A heat pump feature is crucial in an air conditioner that can offer heat functions. If you leave in areas that have long winter conditions and a short summer, shop for one with larger BTUs. The warmer your environment especially in sleeping and living areas the better. If you are living in areas where there are high levels of humidity, your air conditioner should be able to keep up. Dehumidifying functions keep the air light and breathable. Look for this specification before purchase. That is in the case that you need the feature. Not all of us are good with manuals which leave us with the option of selecting easy to use the equipment. If the unit comes with mounting brackets and fittings it's convenient. If you are having a hard time installing the unit, it is only advisable to consult a professional. Most manufacturers have made the point to make manuals easy to digest. Noise is not something most of us can keep up with. We all don’t like units that run a bit too loud. That is why you should always look for a unit that runs quietly. You and the people around you can now enjoy the cool air and an ambient noise free atmosphere. Most products on the market come with warranties. This is just a way the manufacturer gets you to feel comfortable with their product. It’s a vote of confidence in the product. The longer the warrant the better for you. If any issues arise the warranty should be able to offer adequate solutions. The air around us into free of dust. The accumulation of dust in electrical units tend to cause problems along the way. That is why air filters are needed. Different brands come with different air filter styles. People who are allergic to dust or other sensitive health conditions need to ensure that the air filter is of good quality. Easy to clean units are also a bonus to the surroundings. We hope that we have made work easier for you by pointing out the main things you need to check. To be honest, selecting an air conditioner I very simple. Look at the size of your RV and decide which BTU may cool or warm the place effectively. Since this is just the outside unit, be sure to look for all the other equipment to make installation successful. Make certain that all your measurements are accurate to avoid buying the wrong sized unit. With those simple words, we wish you all the best trying to get the best RV air conditioner for you.